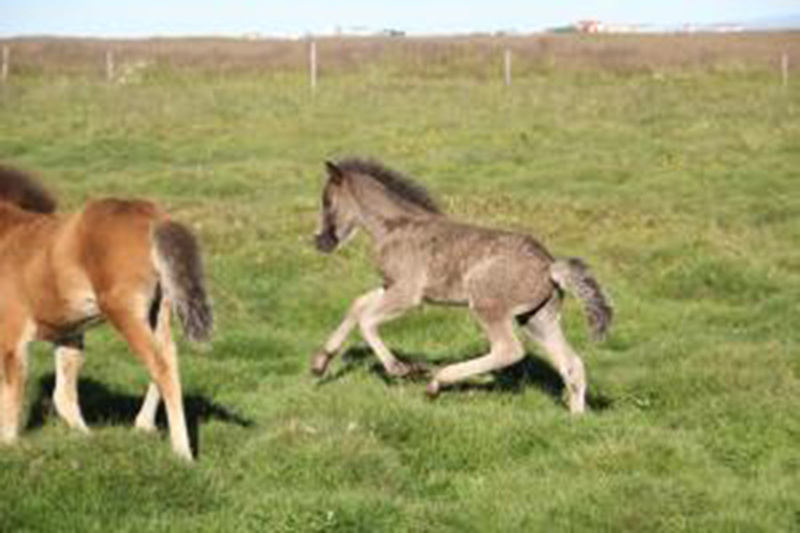 Lúðvík frá Hamarsey, born 2012, sired by Korgur frá Ingólfshvoli and the mother Linda frá Feti, has moved to Germany. The german veterinary couple, Malou and Jochen Haan, invested in this young stallion prospect last summer when visiting us at Hamarsey after Landsmót 2012. Lúðvík was only 2days old, but yet very charming. 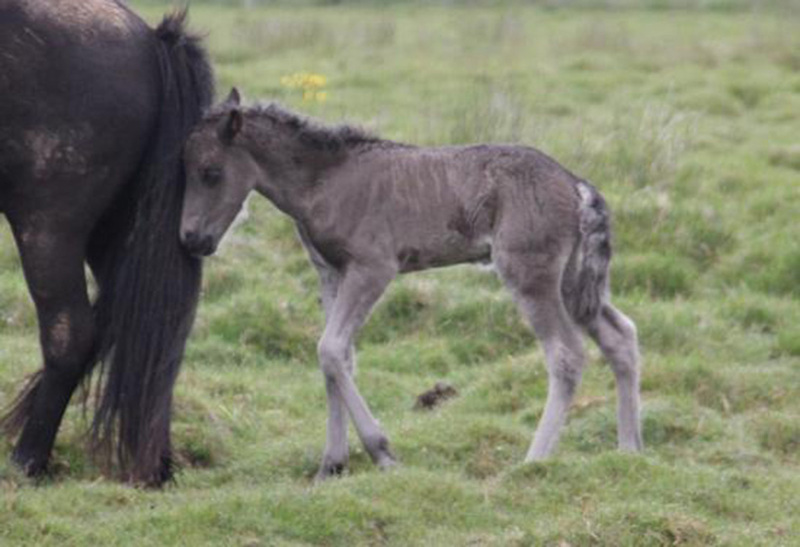 With the color of a black shiny sportscar it was inevitable to notice this spunky foal running after his mother in the field. Good bye Lúðvík and good luck in Germany. Congratulations Malou and Jochen! Linda frá Feti, 1. verðlauna klárhryssa. Móðir Lúðvíks. 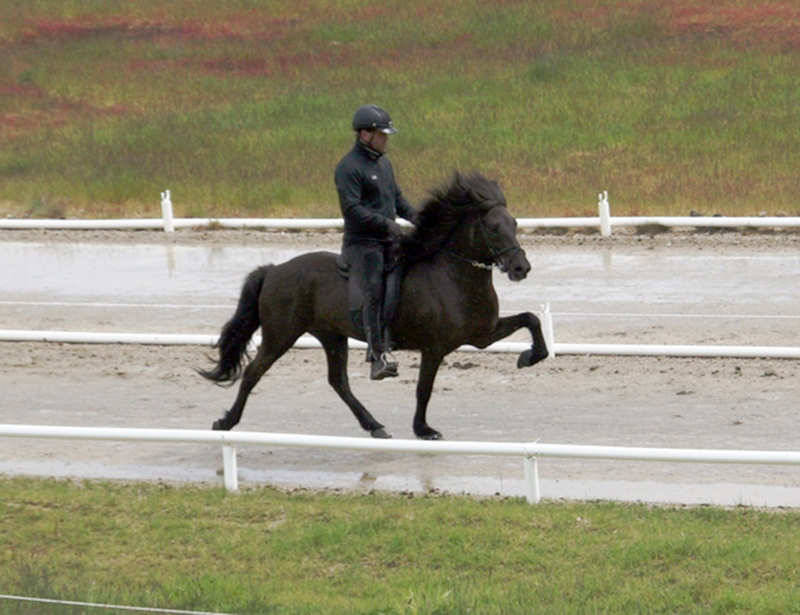 Lúðvík frá Hamarsey fæddur 2012, undan Lindu frá Feti og Korgi frá Ingólfshvoli, hefur flust búferlum til Þýskalands. Það voru þýsku dýralæknarnir, hjónin Malou og Jochen Haan, sem fjárfestu í stóðhestefninu síðastliðið sumar. Þau voru á ferðalagi á milli hrossaræktarbúa á Suðurlandi eftir LM2012 og komu í kaffi á Hamarsey. Lúðvík var ekki nema 2ja daga gamall, en þrátt fyrir það heillandi. Á litinn eins og svartsanseraður sportbíll var ekki hægt að komast hjá því að heillast af þessu spræka folaldi þegar hann þeyttist um túnið með móður sinni. Farvel Lúðvík and gangi þér vel í Þýskalandi. Til hamingju Malou og Jochen!